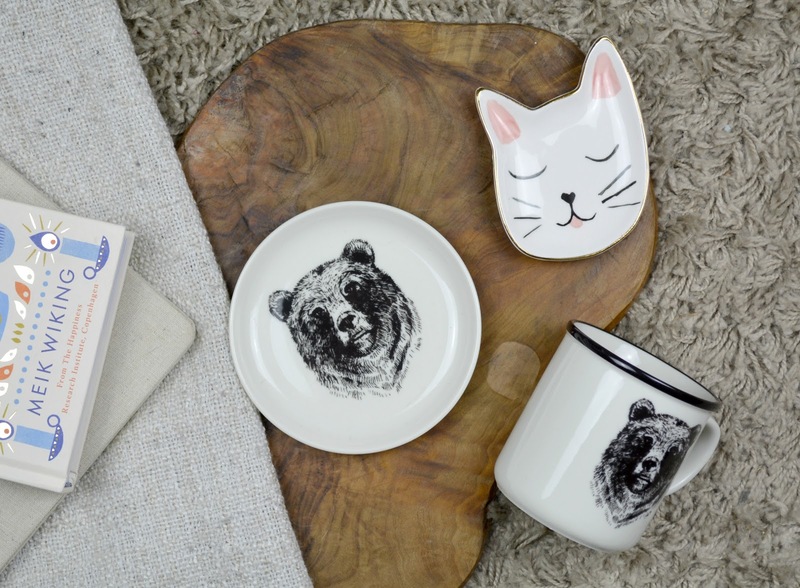 Bear mug by H&M- What I love about H&M Home its they often have animal themes and they are affordable, two things that are very attractive to me. 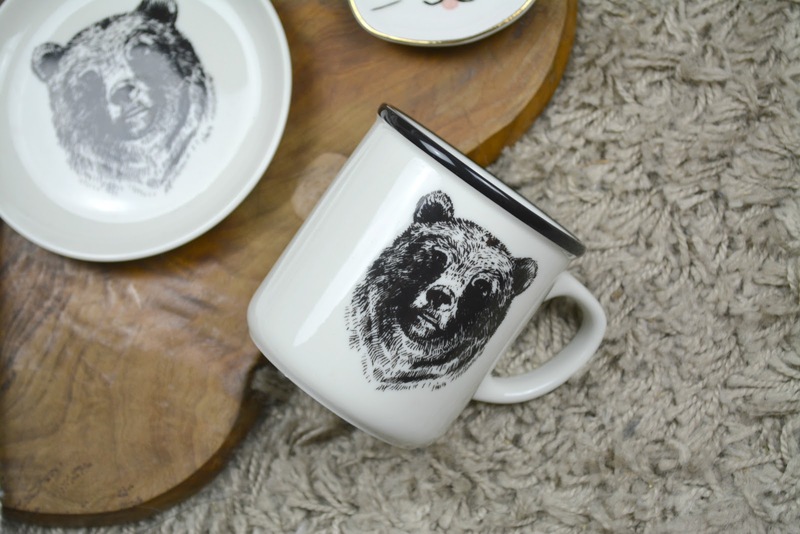 Recently I found this adorable bear mug. I am crazy about mugs and my collection is growing rather rapidly, to the despair of my partner, but really I could not resist it. 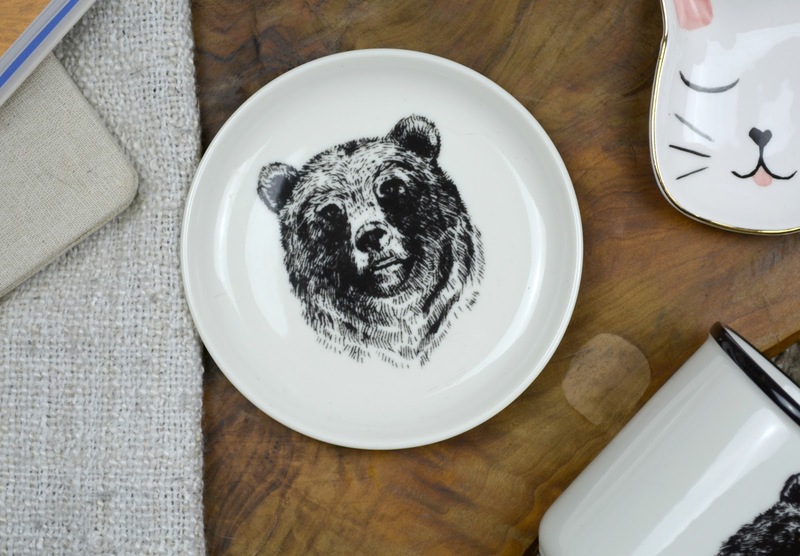 Along with the Bear Mug I had to take the matching black & white bear plate. My morning cup of tea will definitely look better with the matching plate I am sure you'll agree with me, right? Cat Saskia Trinket Dish by Oliver Bonas- This trinket was one of many of my maternity / leaving / birthday gifts from my London ex-colleagues.They know me very well because this is totally the style of trinket I adore and let's say that anything coming from Oliver Bonas its always a winner with me! 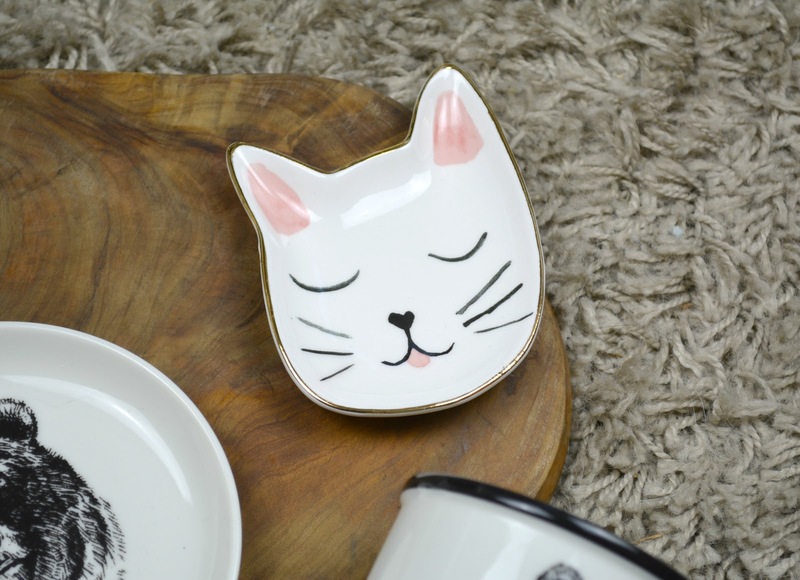 Right now this Cat trinket dish does not have much use apart from blogging photography only because I am patiently waiting for my new home to be entirely re-decorated to finally find a place for it! Most likely on my future make up table. 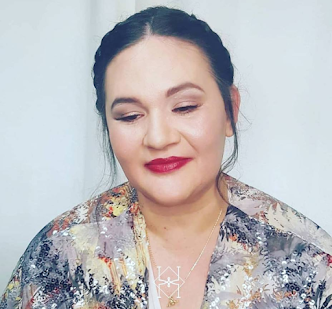 What are you latest favourites? 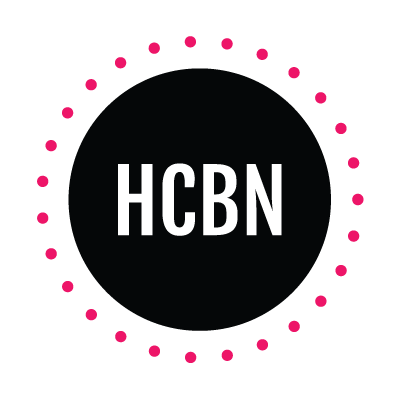 Tell me all by commenting below.